[Jacksonville] -- An historic mobilization of pro-equality voters in today’s run-off elections means a majority of the Jacksonville City Council are now on record in support of adding sexual orientation and gender identity to the city’s nondiscrimination law. Working closely with local advocates and partners, the Human Rights Campaign (HRC) and Equality Florida partnered to launch the most aggressive LGBT voter mobilization program in Jacksonville’s history, reaching more than 100,000 voters. “As the nation’s largest city without these protections, Jacksonville updating its nondiscrimination laws not only protects local residents and visitors, it has statewide and national significance,” said HRC National Field Director Mary Rouse. 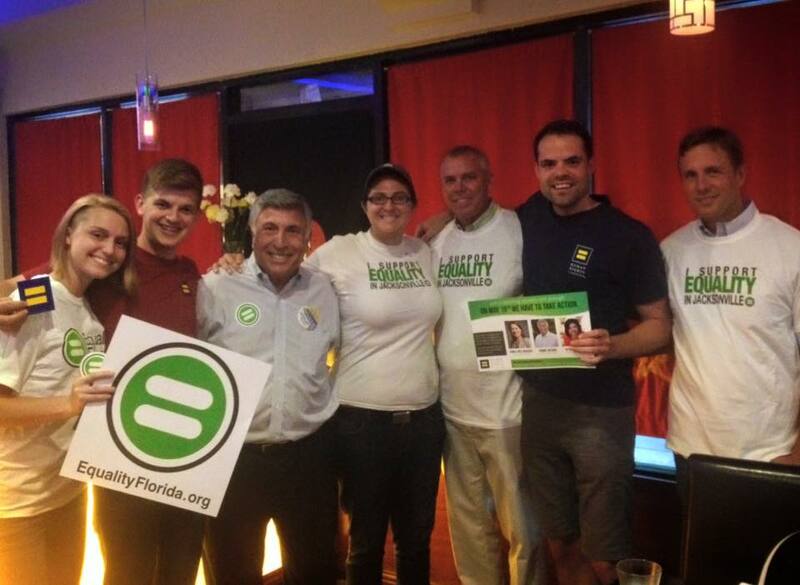 The Equality Florida Jacksonville office became the headquarters for the effort, drawing support from a range of local volunteers and organizations. “The non-discrimination ordinance was a major issue in these elections and today’s victory by pro-equality candidates sends a clear message that Jacksonville is eager to pass a non-discrimination ordinance,” said Equality Florida’s Deputy Director Stratton Pollitzer. In perhaps the most closely watched race for pro-equality voters, human rights ordinance supporter Anna Brosche cruised to victory over Kimberly Daniels, one of the most outspoken opponents of new nondiscrimination protections. Together, with local advocates and volunteers, HRC and Equality Florida educated voters and mobilized them with a multifaceted program that included 95,000 pieces of mail reaching over 30,000 households; over 30,000 phone calls; over 8,000 doors knocked, and thousands of conversations with Jacksonville voters at over 50 community events and forums.